Are Miles Credit Cards the Best Way to Fly Free Today? Are Rewards Cards That Earn Miles the Best Way to Fly Free Today? One of the big disappointments with airline programs these days is that it seems almost impossible to be loyal enough to earn a reward ticket by flying without the benefit of some serious business travel. But it doesn’t mean you should write off traveling using points and miles. 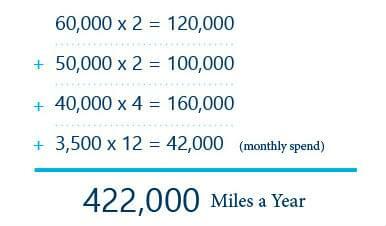 Lets look at a few typical travel scenarios to see how many reward miles you can accrue in a year just by flying. Well consider how far those points will take you, and then look if a different strategy can really boost your mileage balance. 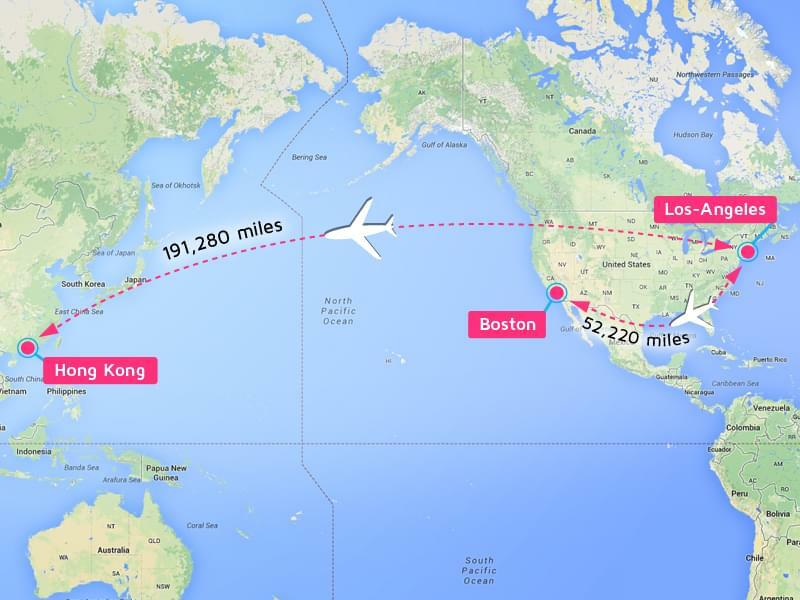 How Many Reward Miles Can You Earn by Flying? That’s not quite enough for one round-trip plane ticket in the lowest redemption category. Even paying out of pocket for a healthy number of trips around the country to see family, domestic flights don’t really rack up a lot of points to spend on vacations. This family would have to wait four years to accrue enough points to take one low-cost vacation, and it would have to be a domestic one. And I’m not going to open the Pandora’s box here of airlines that give you fewer miles if your ticket was purchased in a lower-value fair class, one of the big things that Delta is introducing in its 2015 program. Does Flying for Work Help? Not bad. They almost have enough miles to fly the family to Europe for vacation, or somewhere domestic in the summer at peak redemption rates. In addition to their annual travel reward miles, if each of the two adults in the families applied for one reward credit card per quarter, the situation is very different. I say each quarter because when you do just one application every three months, it gives the hard inquiry time to clear its effects from your credit score. Sometimes, credit card companies offer 100,000 miles or points for signing up, but usually the best offers are around 50,000 to 60,000. And when those offers are not available, you can always find some card offering a 30,000 to 40,000 point or mile bonus. That’s good enough for about four round-trip overseas business class tickets. And were not even taking bonus miles from shopping portals and the like into account here. Wouldn’t you rather have over 400,000 reward miles a year to put toward your vacation travel than paying for more of your airline miles and hotel stays with cash?